 Under the patronage of UNESCO and the auspices of the Secretary General of the Council of Europe, EMMA for Peace is officially launched at the 13th World Summit of Nobel Peace Laureates in Warsaw, with a series of inaugural concerts and workshops throughout the duration of the Summit. 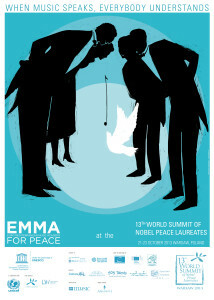 EMMA for Peace, or the Euro Mediterranean Music Academy, is a non-profit global umbrella organization for music education and cultural diplomacy: a network of music institutions, universities and philanthropic foundations brought together in the shared interest of music and the promotion of peace in the Mediterranean and Middle East regions. Thanks to the collaboration of national institutions and international organisations, EMMA for Peace encourages peace building initiatives by the participation of world renowned artists in concerts, masterclasses, workshops and other educational programmes of excellence for young people. Celebrated Italian conductor Riccardo Muti acts as the organisation’s honorary president. Founded by the young cultural entrepreneur Paolo Petrocelli, EMMA for Peace is a ‘roving’ musical academy focusing on the Mediterranean and Middle East regions, with international branches that extend beyond. Bringing together different peoples, cultures and traditions, EMMA for Peace lets music be the instrument of understanding, awareness and collaboration towards a peaceful future for all.